DynCorp International Llc is a private military contractor founded in 1946 which through its subsidiary provides defense and technical services and government outsourced solutions to government agencies in United states and internationally. The company headquarters is situated in Falls Church, Virginia. The company started as an aviation group now operates in three main segments, including global platform support solutions, global stabilization and development solutions, and global linguist solution. Approximately 96 percent of its revenues are from the US government as they provide services to US military in various theaters such as Kosovo, Kuwait, Haiti, Angola, Somalia, Bosnia, Columbia and Bolivia. There are currently 0 consumer reviews about Dyncorp International Llc available. Share your review. Please take a note that you are about to post a public review about Dyncorp International Llc corporate office on CorporateOffice.com. This review will be public, so please do not post any of your personal information on this website. 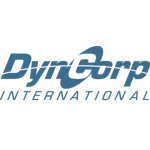 If you would like to contact the corporate offices of Dyncorp International Llc, please use their contact information such as their phone number, website, and address listed above to contact them. However, sometimes staff from Dyncorp International Llc headquarters do read the reviews on this website.